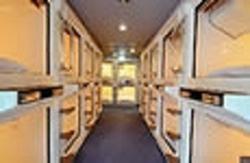 Renewal opened Capsule Hotel (for male) on April 2008, located in the center of the Kobe city, Sannomiya. From where it is easy to accessible all parts of Kobe like from Sannomiya station, Harbor Land, Meriken Park, China town etc.! 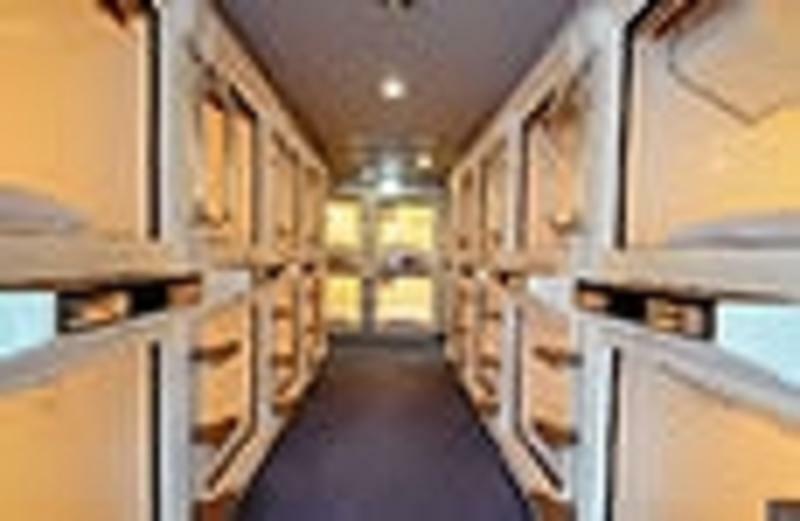 This is an ideal place to stay from where especially with walking distance to Business districts, shopping malls, and major inner city sightseeing spots. 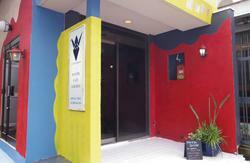 Also adjacent to nightlife of Kobe city. (Of course, No Curfew) Low Price, meticulously well maintained, closed to the station, excellent facilities, and convenient location, Free for going outside after check in. Suitable for business and private use. 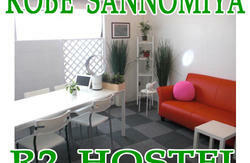 -PC with free Internet service. -Library of Japanese comics (mangas). -No Dining facility (Please feel free to bring the foods from the outside) Please eat in the lounge area on 2nd floor only. Microwave oven is available at the lounge area. -Coin Washing and Drying Machine. -Vending Machine of beer and juice (our selling price is the same as streets ones). -Not to smoke or eat in the capsules. -Not to use of a mobile phone in capsules. -Refuse to stay those Guests who have tattoo (Small or big) on his body. -Guests are required to smoke only in the smoking areas. -Check in from 3:00 PM. -No curfew, you can leave and come back as you wish. For the Guests who stay more than 1 night, you must take out your luggage from your locker and capsule room in the period of 11AM until 3PM for the daily cleaning and maintenance. You can collect your luggage in front desk until you stay our hotel. Free use of towels, Room Wear, Shampoo, Conditioner, Liquid Soap, Shaving Foam, razor, tooth brush, tooth paste, Hair liquid, Hair Dryer, comb, brush, cotton swab (no slippers). ?Both gates are located close. When you exit from JR line after exit from west gate walk at the right hand side and steps down and walk left side then you can see the rotary at the right side. ?Across the rotary at the left side you can see "McDonald" shop at the right side corner. ?When you walk about 250 meters by the right side of the "McDonald" you can see the Lawson combine store. ?All of the gates are connected underpass. ?From Hanshin and Kaigan line walk toward the Seisin Yamate ticket counter. ?Exit from the gate East No. 1(E1) from Kobe subway Seishin-Yamate line. ?When you walk straight about 250 meters you can see the Lawson combine store. ?Turn left at the corner of the "Lawson". Over two narrow roads ahead and turn right of the mansion . Then you can see the green signboard printed Capsule Hotel Kobe Sannomiya. ?Port Liner Sannomiya station is next to JR Sannomiya Station, which is linked by escalator by right side of ticket counter of port line. ?Use the escalator stair to come down toward JR Sannomiya Station and walk about 2 minutes straight, there is a rotary of the taxi when going out of the concourse at the JR Sannomiya Station to the mountain-side (north). ?It goes out to the beef bowl shop when crossing at the crosswalk exceeding there. Then cross the wide road named Flower Road then walk right side i.e. north side. ?There is "Lawson" shop when walking about 250m toward the mountains (north) along the road on the left side. ?Turn left at the corner of the "Lawson". Over two narrow roads ahead and turn right of the mansion. . Then you can see the green signboard printed Capsule Hotel Kobe Sannomiya.